Jeroen Spijker is a "Ramón y Cajal" Research Fellow at the Centre for Demographic Studies, a research institute that is located on the campus of the Autonomous University of Barcelona. 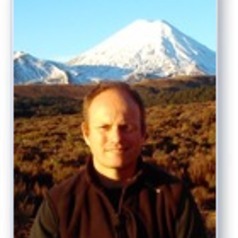 He obtained a BA (1994) in Sociology and Human Geography and a Post-Graduate Diploma (1994) in Applied Statistics from Massey University and a Masters (1997) and PhD (2004) in Spatial Sciences (specialisation Demography) from Groningen University. In his research he takes an interest in wide range of topics, including ageing, socioeconomic determinants of mortality, the demographic, epidemiological and health transitions, the effect of education on marriage timing, and family formation after divorce and widowhood. His former employees include the University of Edinburgh and the Vienna Institute of Demography.